Congratulations to February’s WomensNet.net Amber Grant winner, Alexis Hiniker! Alexis is currently a grad student and researcher at the University of Washington in the Human Centered Design and Engineering program. 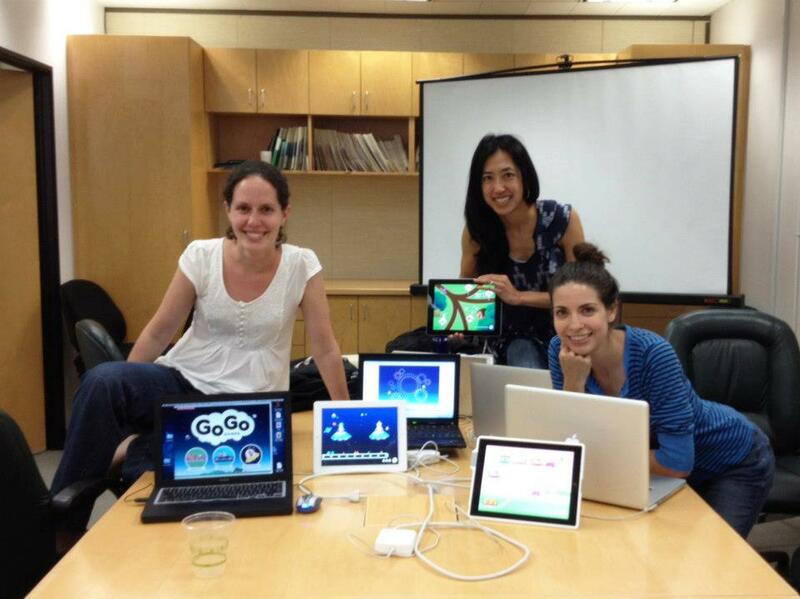 Together with her team of two other women, Alexis has founded Go Go Games©, a suite of iPad games developed to assist children with Autism Spectrum Disorders (ASD). Working closely with co-founders Joy Wong Daniels and Heidi Williamson, Alexis has seized the opportunity to create a truly unique product. After realizing that there was a strong market need for their concept, the trio raced to get started. They have already released their first product, and have received glowing feedback from customers and the media. We interviewed Alexis to discover more about her team’s incredible mission. WNN: Alexis, congratulations on winning the February Amber Grant. AH: Thank you so much — this absolutely made my day! In addition to being a great honor, this will enable us to take our research much further. Thank you again for supporting Go Go Games Studios in particular and women entrepreneurs broadly; we are proud to be associated with your great work! AH: We translate evidence-based therapies for autism into video games that are engaging for our target users. Behavioral therapy is expensive and time consuming (on the order of 25-40 hours a week) and our supplemental therapy can help close the gap between the amount of therapy kids need and the amount they actually receive. WNN: How did you meet the other women involved in the project? AH: The three of us met as graduate students in the Learning, Design and Technology program at Stanford University. The program brings together educators, engineers, designers and other innovators who all share an interest in leveraging technology for educational purposes. Together we built a joint master’s project, which subsequently became the foundation of the business we co-founded. WNN: What was the inspiration behind aiding children with ASD? AH: I became interested in autism when I was pregnant with my first child and reading about warning signs of different developmental delays. I was surprised to learn how useful technology has been to this particular group. Given my background in computer science and software engineering, I saw potential for me to make a contribution in this space. Joy and Heidi’s backgrounds in interaction design and user research were the perfect complement to mine, and all three of us felt that together we had the necessary well-rounded skill-set to create innovative educational experiences. We all went back to graduate school with the goal of using our technical and design skills to support underserved audiences, and we saw Go Go Games as an opportunity to do just that. For each of us, our commitment to this community has been continually strengthened as we’ve worked with our inspiring user testers over the past year. WNN: What are your long-term goals going forward with the project? AH: We are excited to be working on our next product and to be planning out a long-term product line! These will all involve gaming and play-based learning, leveraging evidence-based practices, and supporting individuals with autism in leading rich and independent lives.